Spring Clean Your Diet: Cedar Rapids, IA: The M.A.C. Are you ready to Spring Clean Your Diet? We are here to help you. 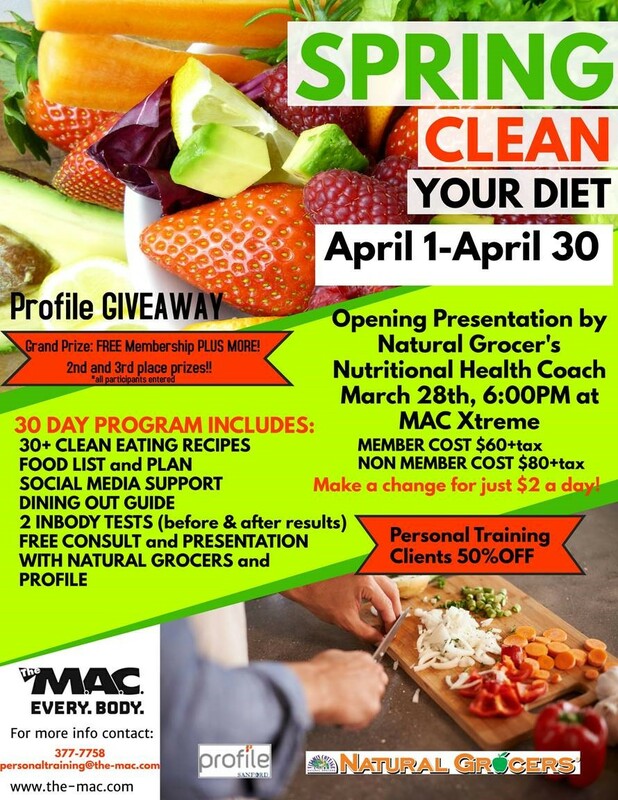 This 30 day challenge kicks off with a presentation on March, 28th at 6:00PM at MAC Xtreme! The program includes: 30+ clean eating recipes, food list and plan, social media support, dining out guide, 2 inbody tests (before and after results), free consult and presentation with Natural Grocers and Profile.